WAAPISim, the polyfill of Web Audio API now supplement latest function names e.g. noteOn=>start for iOS/Safari browsers. 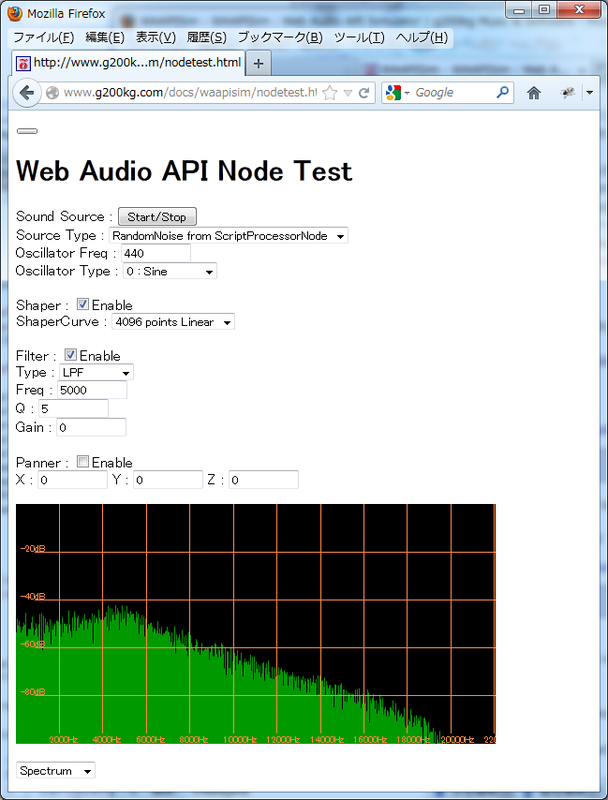 There are some test-pages for confirming the functions of Web Audio API nodes. 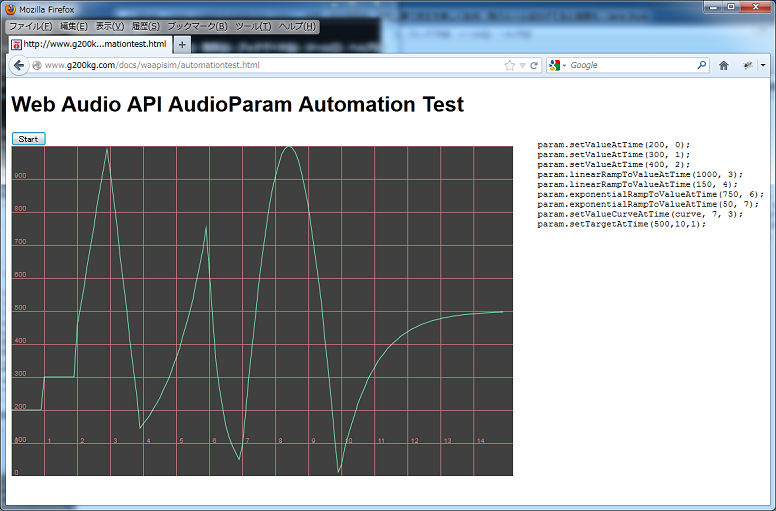 Because WAAPISim is embedded, functional not only for Web Audio API ready browsers (e.g.MSIE/Opera). Implemented Flash fallbacking. It enables MSIE/Opera for Web Audio apps. Source code is also available on GitHub. Take a look if in interested. And now, filter characteristics are adjusted to Chrome's Web Audio API filter. Filter Test Page is also available, that may be interesting. WAAPISim, a Web Audio API simulator on Audio Data API is released. 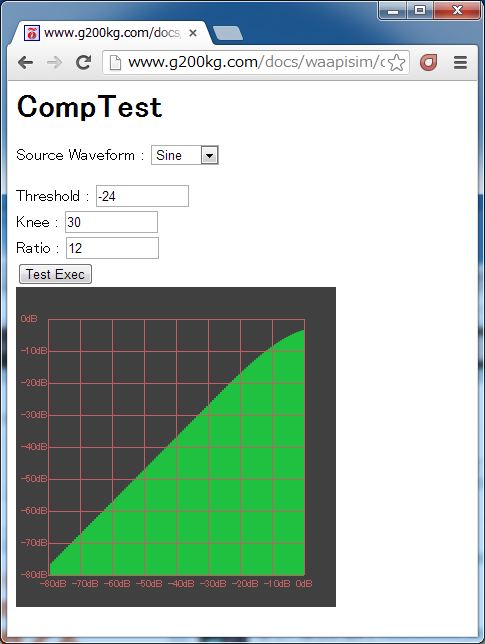 It is still tentative and partial implements but may be useful for audio web apps. This demo movie is Web Audio API synth, 'WebAudioSynth' by aike-san running on Firefox.